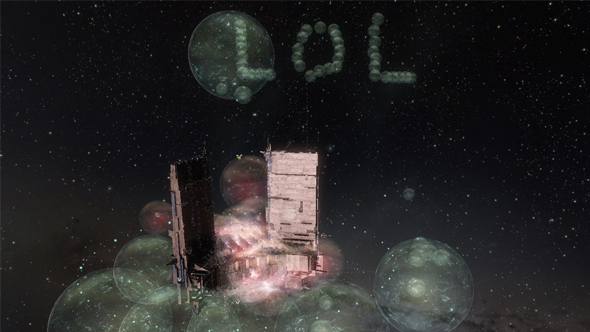 Update September 18, 2017: With the heist of a lifetime now fading into memory, Eve Online’s playerbase is turning it into the usual collection of memes to keep it fresh. What do you do with stolen goods? Eve Online’s The Judge is auctioning them off, starting with one of gigX’s titans, the poor fellow who lost everything, his corporation and his whole Eve account, last week. Meanwhile, songs are being written about the legendary theft. Want more? Check our guide to space games. Meanwhile over on the official forums, Judge is running an auction for gigX’s “personal titan” – flown by one of his alt’s, apparently. Bidding starts at 80 billion ISK, but has rather quickly been overtaken by accusations that the auction is a fake, as well as other, rather more personal comments about Judge. Whether he’ll manage to sell it or not is anyone’s guess. Elsewhere, players are turning gigX’s ban into the meme of the year. CCP’s normally hands-off approach to community management means the event has generated more interest than normal. For their part, CCP have stated that the case is closed, gigX is banned, and won’t ever be unbanned. Minor dramas arose regarding previous incidents that didn’t have such punishments, to which CCP said policies have changed. Original story September 12, 2017:Circle of Two, one of Eve Online’s biggest alliances is in the midst of a coup, with one of its leaders, The Judge, defecting to rival alliance The Imperium, taking a tonne of ISK and assets with him. It’s all happened very quickly at around 02:00 BST on September 12, when a Circle of Two keepstar, a giant space station constructed by members of the alliance, changed ownership to a corporation outside of the alliance. Ownership then changed again to Goonswarm, the main corporation within the Imperium. 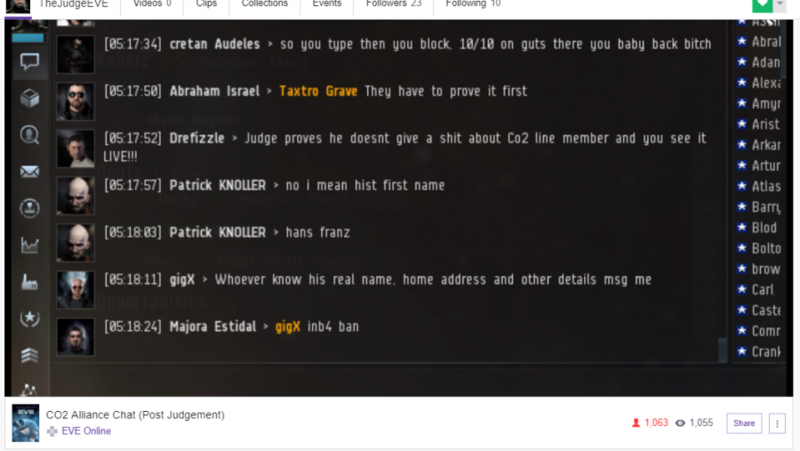 The Judge, who also sits on the Council of Stellar Management, a board of players who regularly speak with Eve developers CCP about the state of the game, admitted on a streamthat he was responsible for the theft and that he had made off with over a 1.5 trillion ISK in in-game currency and assets – including a titan owned by GigX, the leader of Circle of Two. The exact value of everything stolen isn’t yet clear but it looks like it’s the largest theft in Eve history, the next largest theft tops out at one trillion ISK. Not all of the assets were transferred to The Imperium. The Judge also handed over the keys to Circle of Two’s Fortizar citadels to TEST Alliance, another enemy of GigX’s alliance. Since the theft, TEST and The Imperium have been encouraging Circle of Two members to jump ship and join their alliance. A tempting offer considering that, since the transfer of ownership, many members of Circle of Two have now been locked out from all the assets they had stored in the alliances citadels. The Judge confirmed in a Reddit AMAthat he is going to join Goonswarm, as well as admitting that he was paid 300 billion ISK to hand the Keepstar over to the corporation. In the same post, The Judge explained why he had betrayed the alliance. Despite being with the alliance for five years, his relationship soured following World War Bee, the major conflict that took place earlier this year.